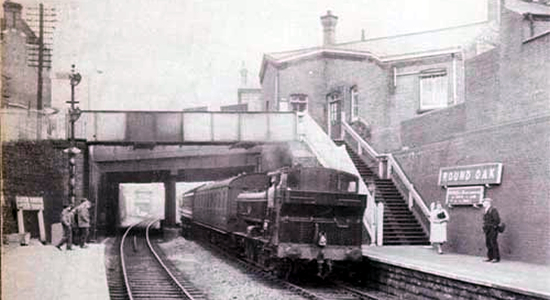 Round Oak station was opened by the Oxford, Worcester & Wolverhampton Railway in 1852 and succumbed to closure, along with the other stations (apart from Harts Hill which had closed in 1916) on the ex-OWWR between Dudley as far as Stourbridge Junction, in 1962. This was the third station south of Dudley and was later to come under the auspices of the GWR following its absorbtion of the successor to the OWWR, the West Midlands Railway, in 1863. 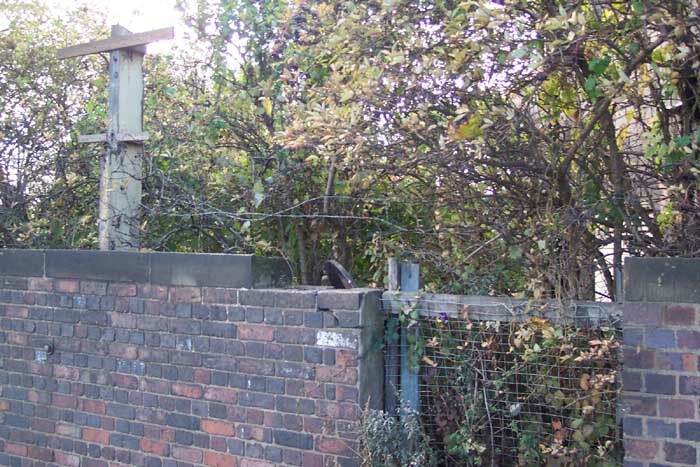 Through the bridge in the above photograph a signal box can be discerned which controlled the sidings then serving various industrial sites including a tip for Austin Motor Company. 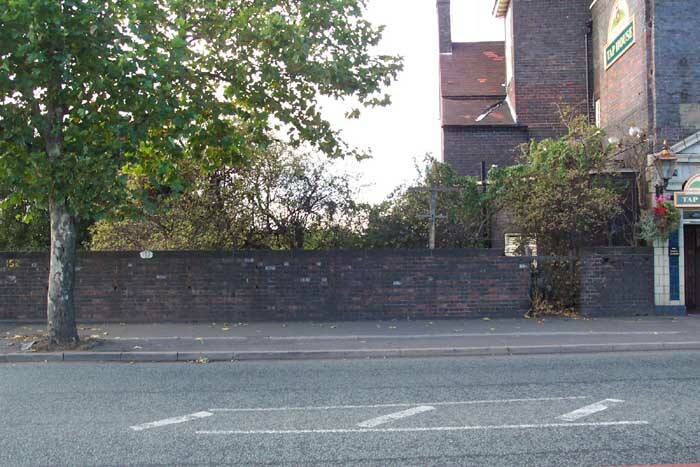 There is little left today to indicate that a station once stood here, however there are a few clues that can be found. 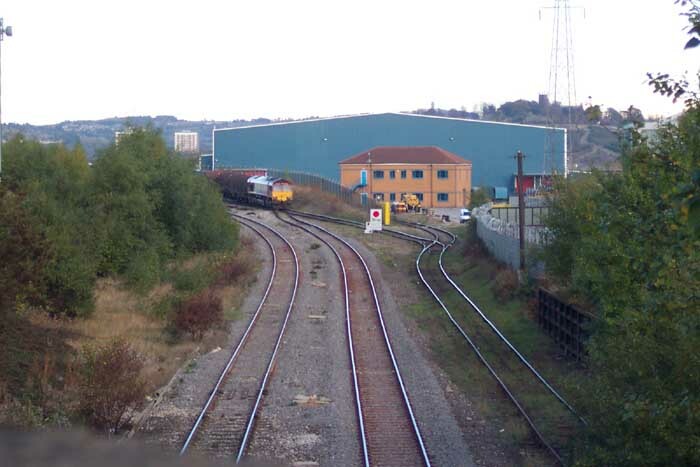 The landscape of the surrounding area has considerably changed since the time of the station: Round Oak Steel Works closed in 1980 and the site now houses the Merry Hill Shopping Centre/Waterfront development which occuppies a vast tract of land sited, with reference to the view above, to the right of the signal box. I'm surprised that Round Oak station, or a new site close to this location, has not been utilised for a passenger service to Merry Hill. The doomed-to-closure Round Oak Station can be seen above in 1962 (photo: John Dew). Above-left we are on the A461 Dudley Road looking across to the entrance to the Dudley platform - the gap in the wall to the right of the shot. The building on the extreme right is the Blue Brick public house which can also just be discerned in the extreme left of the picture at the top of this page. 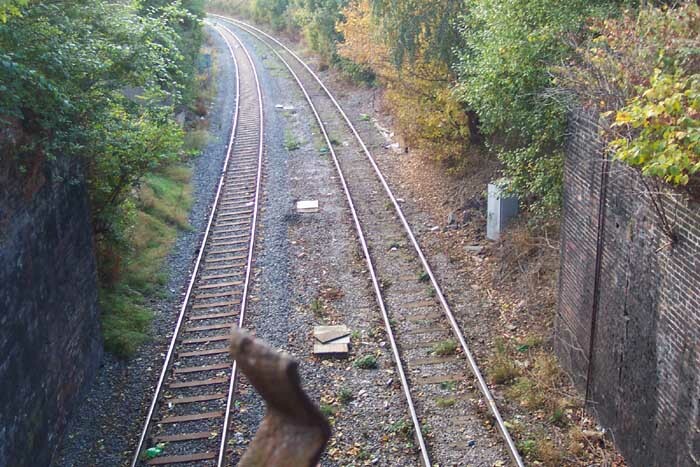 Above-right we can get a closer look at the entrance and see remains of a station signpost on the left-hand side. Above-left we are again on the A461 overbridge but this time we are looking directly down to the spot where once the platforms were situated: the Dudley platform to the right and Stourbridge platform to the left. Above-right we are again on the A461 overbridge but this time looking in the opposite direction to the previous shot: an unknown 66 can be seen paused just short of the Brierley Hill Iron Works sidings.